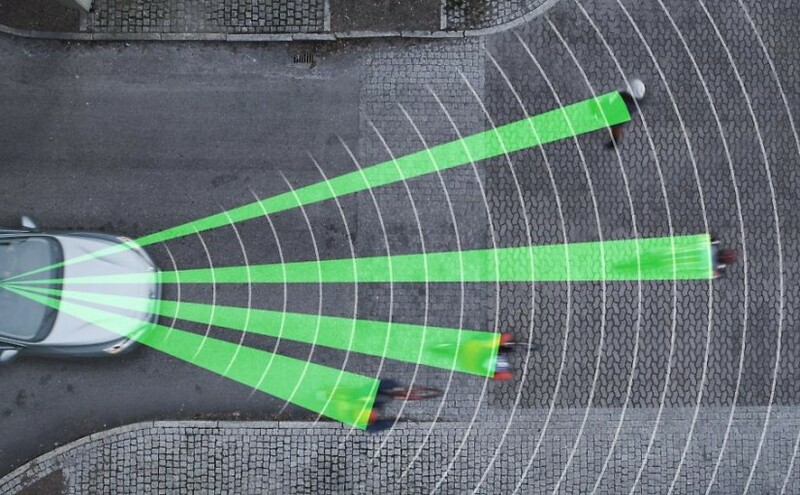 Volvo announced today – at the Geneva motor show – that the collision warning with full auto brake and pedestrian detection safety system can now not only detect pedestrians but also cyclists. The package will be called Pedestrian and Cyclist Detection with full auto brake. The system monitors traffic thanks to a radar unit integrated into the car’s grille, a camera fitted in front of the interior rear-view mirror and a central control unit. The radar spots objects that are then analysed using the camera. When the safety system identifies a potential danger it warns the driver before engaging the automatic braking function. The feature will be available in the Volvo V40, S60, V60, XC60, V70, XC70 and S80 models from May this year. – Read the announcement on Dagens industri (in Swedish). There are of course times when those systems are going to act upon a sudden and unpredictable situation and save lives but wouldn’t it be easier to solve safety issues directly at the source (behind the wheel that is) instead of making cars smarter? Is it worth investing so much money in R&D to solve an issue that occur most of the time on 3 (and less) kilometer drives (around 50% of all car trips are three kilometers or less)? Can’t people concentrate more than 2 minutes behind the wheel?